There’s a new Kurt Baker Combo album on the horizon. 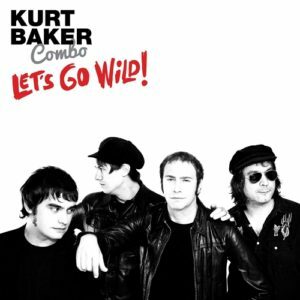 ‘Let’s Go Wild’ explores some new territory for the singer-songwriter and his band, moving further away from the usual power pop tropes and deeper into garage rock. For those who love it rough and ready but still crave a big hook, the album serves up more than enough gems. 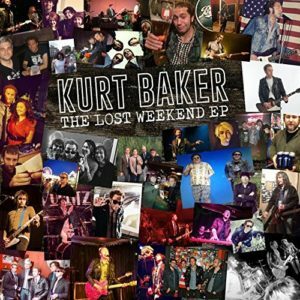 Whether solo, playing as a member of the Kurt Baker Combo or a key member of Spanish pop-punkers Bullet Proof Lovers, something that comes across on pretty much any Kurt Baker recording is how much joy he gets just from playing music for the love of it. He’s also frighteningly prolific. If he’s not sweating it out at live shows, he’s in the studio. If he’s not in the studio, he’s writing. Obviously, with such a frantic recording artist, not everything makes the final cut of an album, but Baker is never content with leaving things on the shelf.